I2C8 is an innovative real-time MIDI generator and MIDI sequence generator for both studio and live application. 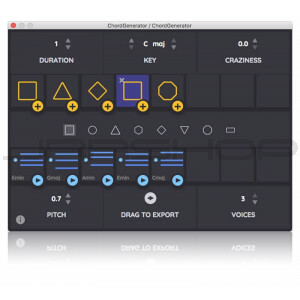 I2C8 is an innovative real-time MIDI generator and MIDI sequence generator for both studio and live application, featuring a unique and highly interactive user interface. 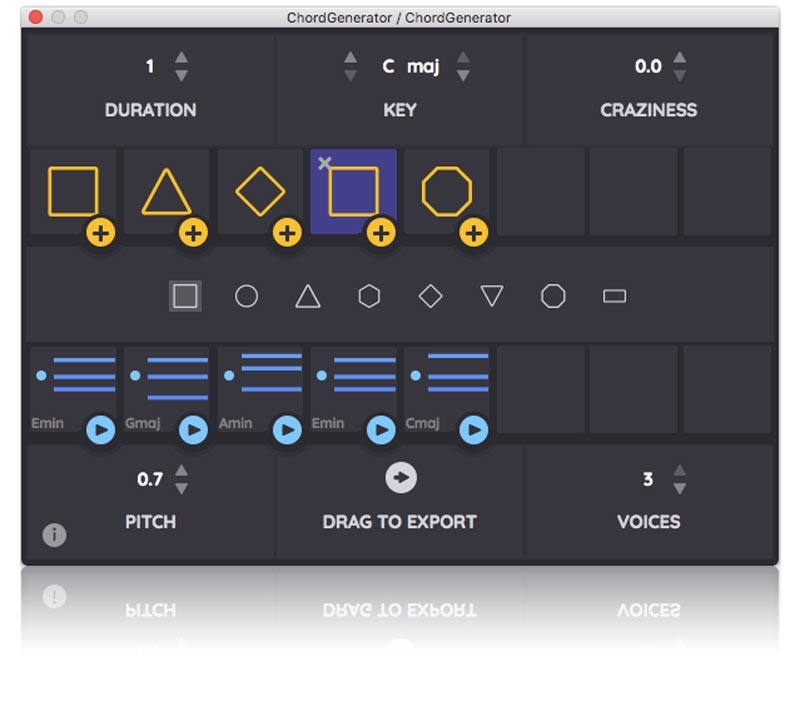 A simple pattern language is used for the definition of repeating chords and various parameters control the output: Add a chord, or change a pattern symbol, and the chord generation engine creates a set of new chords in real-time. Switch between nine different variants of the generated sequence by one click only. 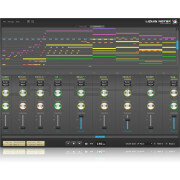 Change chords manually to your liking. Trigger the generated chords by your computer's keyboard, an external MIDI keyboard or a MIDI sequence in your DAW. 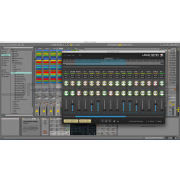 Feed a chord progression into an arpeggiator, run several instances of the plug-in, generate polyrhythmic patterns, and much more.